PYP, the primary years program, is one of four of the IBO’s programs. The PYP program, which includes students between 3 and 12 years of age, aims to challenge and interest students with it’s relevant and transdisciplinary curriculum. PYP authorization is a process that results from the cooperation and hard work of the school community. In the beginning, the school informs the IB that it wants to apply the program. The IB specialists look at the school’s educational philosophy and its physical environment. Candidate schools have to organize PYP training the academic staff. When the academic staff prepares the program of inquiry, the whole school community is informed about the program’s philosophy. 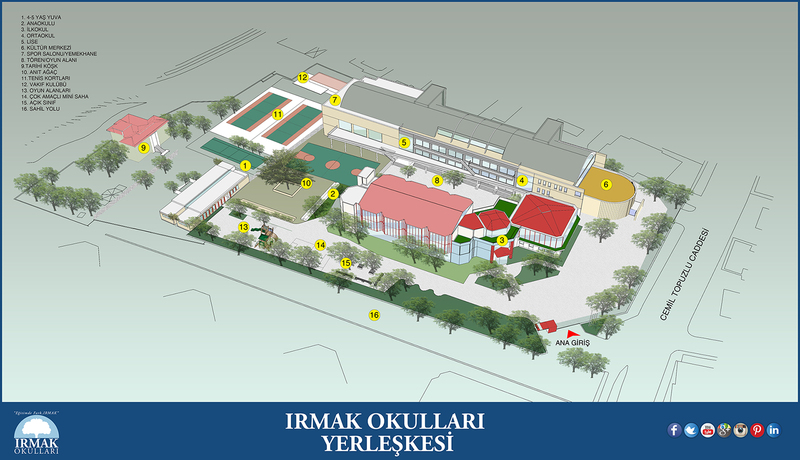 Irmak Schools successfully completed all stages of the PYP authorization on May 14th, 2008 and since then Irmak Schools has been an IB World School. Our school inquiry programs are implemented with the Ministry of Education from Kindergarten to 4th grade. Our school supports the participation of all students in the program. This program balances improving the conceptional understanding, knowledge, skills and taking action. The program creates a learning environment that results in creative learning and nurtures international minded individuals rather than presenting knowledge to be learned in order. The program explores national and international subjects in transdisciplinary themes to improve research, communication, and critical thinking skills as well as attitudes that encourage respect, tolerance, responsibility, and taking action in social service. How do we want students to take action? According to the PYP philosophy of education, it is believed that students should not only develop their social consciousness, they should also go beyond thinking into action. It is expected that at the end of the learning process students will take an action based on the perspective they acquired in the program. These actions can be different according to the age of the student. PYP schools can and should meet the challenge of offering all learners the opportunity and the power to choose to act to decide on their actions and to reflect on these actions in order to make a difference in and to the world. This page was created on 5.6.2017 16:21:38 and has been visited 1206 times.